The York Ebor Festival is one of the biggest and best horse racing festivals that takes place in the UK. The timing of the festival is what makes it a real delight, and a big reason why horse racing fans look forward to it so much. After seeing older horses win the big early season races, and three-year-olds win the classics, we now see them come together for a number of mouth-watering clashes. It is these clashes that we have been looking forward to for a week, and also what represents the various highlights of this meeting. As ever with a big race meeting, ITV will be there to cover the action for punters who are at home and unable to attend. They will bring you the best four races of the day on ITV, giving you a chance to see some of the best action and savour the atmosphere at this special racing festival. Betting is sure to be popular over the four days of the festival, and if you are looking to place a wager then check out our preview of each day, as well as the latest betting and bookmaker offers below. For many people, the first day of the festival is the best and it is no surprise when you see the quality action on offer. The Juddmonte International is one of the best races of the year, let alone of this meeting and with £1 million in prize money up for grabs it is no surprise to see the best of the best come together. We have King George and Prince of Wales winner Poet’s World, Eclipse winner Roaring Lion and Guineas winner Saxon Warrior going head to head here. That is without mentioning Dubai World Cup winner Thundering Snow, Irish Derby winner Latrobe and multiple Group One winner Benbatl. This race is hot, there is no doubt about it. Roaring Lion was value for more than his narrow win over Saxon Warrior last time out having gone very wide around the bend. At a track he has won on before that is straight and fair for a long way, he can take the Juddmonte in style. Elsewhere on the opening day, Kew Gardens steps up in trip before a tilt at the final classic of the season, the St Leger. He is currently favourite for that race and a win here would further shorten his price in the betting for the race at Doncaster. The Yorkshire Oaks takes centre stage on Thursday and the locally trained Laurens would be one of the most popular winners of the week. She was a Group One winner last year and since finished second in the Guineas to start her three-year-old campaign, she has won a further two Group One races in France. This is another step up in trip for her, but she is gutsy and will certainly be trying her heart out. Taking her on is the fast improving Sea Of Class who won the Irish Oaks on just her fourth run of her racing career last time out. There could still be a lot more to come from this exciting filly and she remains one of the best prospects in training. Coronet leads the way for the older brigade and she won at York at the start of this season in a Group Two. This is a step up from that, but she has a chance of beating the younger horses if running to her best. Lah Ti Dar is another filly who could be anything after two wins from her only two starts. Injury has prevented her progression this season but she is back and runs in the Listed race at 4:15 instead of the Yorkshire Oaks and looks to have a great chance in that race. All eyes on Friday will be on Stradivarius in the Lonsdale Cup and he will take home a £1 million bonus if he can win this race. This will be the fourth and final success of his this season to take the bonus, a great incentive brought in to help the staying division. He is a very short price to take the Cup, which would be added to his Yorkshire Cup, Ascot Gold Cup and Goodwood Cup victories. He doesn’t appear to have much in the way of competing against him this week and anything other than seeing him ease to victory would be a huge shock. At the other end of the spectrum on Friday, we have some of the quickest horses in the world taking part in the Nunthorpe Stakes, a five-furlong dash. This race is all about one thing, the clash between Battaash and Blue Point, and the outcome is likely to hinge on how the first mentioned can handle the occasion. Battaash is known for his antics in the parade ring and on the way to the start but is a hugely talented individual when in the right frame of mind. He will be an interesting watch, but with his character known by everyone, only the brave will be going in to back him at odds on. 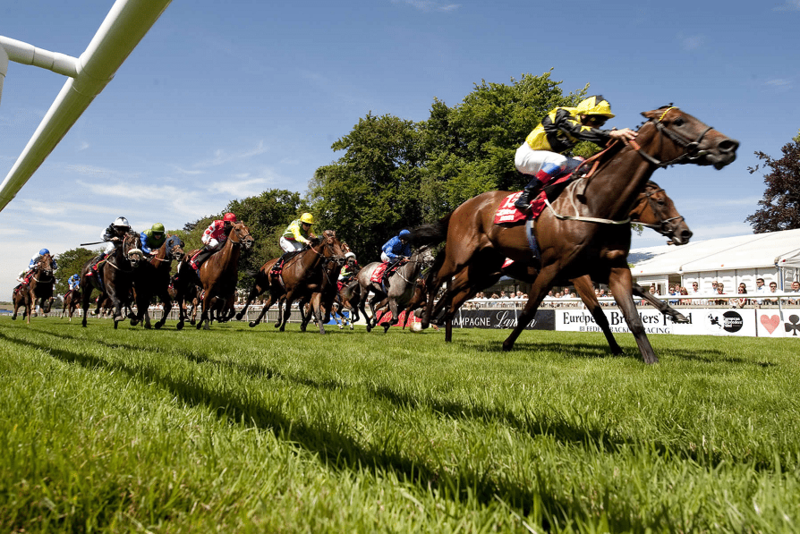 The centrepiece of the whole meeting is the Ebor Handicap which is run on the final day of the festival and features some of the top staying handicappers in training. It takes a special horse to win the Ebor and one that is very well handicapped, often proving to be a minefield for punters. One starting point may be last season’s winner Nakeeta, a horse who has been specifically trained with this race in mind once again. He ran nicely in his preparation race last time out and comes here with a good chance again. The Strensall and City Of York Stakes are two competitive Group Three races that support the main event and they add to what is going to be a fantastic day of racing to round off this great festival. On Wednesday the feature Juddmonte International sees Poet’s World at the head of the betting at 9/4. There is little to choose between the front runners though, with Roaring Lion at 11/4 and Saxon Warrior at 5/1. Ahead of that race, Kew Gardens is 11/4 to win the Great Voltigeur Stakes, something that would seriously enhance his reputation ahead of a tilt at the St Leger next month. The local girl Laurens is 4/1 to take the Yorkshire Oaks on Thursday. She certainly has the form in the book to do so if she stays the distance of 1m4f which she encounters for the first time here. The exciting Sea Of Class is the current favourite at 11/8. On Friday Stradivarius is very short to win the Lonsdale Cup, with 1/2 being the best price on offer right now. He has a clear chance and will be the banker for many at the meeting. The enigmatic Battaash is 8/11 for glory in the Nunthorpe, with his main challenger Blue Point priced up at 6/1 and everything else is in double figures. He is very talented and can easily win this race, but his mind has to be on the job and not on the occasion, so it will be very interesting to see how he acts both in the parade ring and going down to post. Despite being one of the most competitive handicaps of the year, Stratum has been installed as short as 4/1 favourite for the Ebor. Last year’s winner Nakeeta is currently the third favourite at 14/1, with Blakeney Point in between those runners at 17/2. Fancy a multiple on each day of the Ebor Festival? If so then head over to Betfred, where you can place a Lucky 15 bet knowing that you will receive treble the odds if you have just one winner on your ticket. With this offer, you have a great chance of making a profit even with one winner out of four, while you know all four winners will bring a huge return. If you are looking for a fun way to get involved this week, this is certainly it. Every race throughout the Ebor Festival comes under this great offer from 10Bet, and if you are placing singles then it is an offer to take advantage of. Place a bet on a horse and if you come second to the SP favourite, you will receive your stake back as a free bet up to a maximum of £10. This is a great way to cover yourself, and if the favourite wins you are effectively getting a free bet on the next race. Throughout the Ebor Festival, we have many big field handicaps that are tough to solve. Ladbrokes have an additional place race each day and this week their races will come from York. The actual races won’t be known until the day, but if you intend to place each way bets at York then this is certainly something to look out for. By paying an additional place, you could back a winner with Ladbrokes that would be classed as a loser elsewhere.